Wow! What an exciting start into 2016. Falling indices and high volatility. The Dow Jones is down 6%, S&P – 5.97%, Nasdaq – 7.84%, DAX -8.83%, Nikkei -9.42% and Shanghai -15.02%. Many commodities also dropped with oil down nearly 20% and Natural gas -11% but gold is up 2.65%. After gold being in a bear market for over 5 years it outperformed most assets in the first weeks of 2016. Gold clearly demonstrated stability in market turbulence and investors were looking for it as safe haven. Last week was a good opportunity to buy great companies for lower prices. I used the chance and added two large caps to my portfolio. I think the massive drop in oil prices will create lifetime opportunities and since my portfolio is already overweighted in the energy sector, I wanted to add a more defensive play and decided to place a limit order for Royal Dutch Shell (RDS.A, RDS.B) and baaaang: I was lucky to get some stocks on Friday for 17.82 € ($19.30). Royal Dutch Shell is one of the supermajor oil and gas companies. 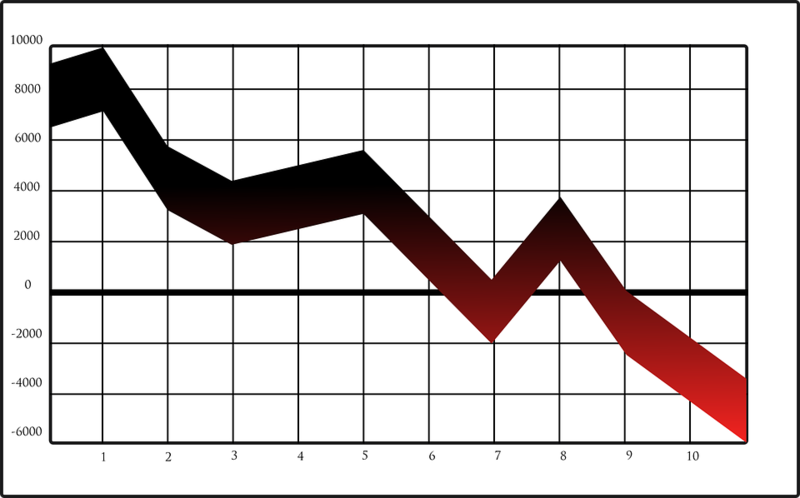 Its share price fell the most over the last weeks compared to the other majors. The under performance is mainly driven by their planned takeover of BG group. Many analysts think they are paying too much but some see also good synergies and so thinks Shells management. In general, takeovers are overpaid and companies do not manage to realise the expected synergies. Purchasing assets in depressed markets, when prices are lower, is always better and guarantees that the premium isn’t that high. That’s why I think the takeover at current prices is not a bad idea. I’m not an expert in the oil industry and therefore didn’t buy Shell based on the takeover but because of their low valuation and their history of performing well and generating cash and wealth. Shell is an Anglo-Dutch multinational gas and oil company, vertically integrated having subsidiaries in every area within the industry. They also have small activities in renewable energy such as wind and bioethanol. The diversification allows them to be profitable in low and high oil price environments but in general they earn more with higher oil prices. The current drop in oil and gas prices, which impacts earnings of their upstream business and related asset valuation, is partially absorbed by their downstream business which is refining and service stations. The company has operations in over 90 countries and generated an operational income of $23 bln in 2014. The current CEO joined the company in 1983 and holds a master degree in chemical engineering. He is known for his excellent industry knowledge and is proven success turning around struggling divisions into profitable ones. Other interesting figures: Working capital 23bln GPB ($ 32.8bln), Cash 31.8bln GBP ($ 45.3 bln), Debt/Equity 34.21, Cash to debt 0.57, Gearing 12.7%. We can see that Shell has a very conservative balance sheet and even with additional upcoming write off’s the company will look attractive. I read some articles where investors worry that the dividend will need to be cut because of the takeover but looking at their massive cash position and positive cash flow, I don’t see the pressure. The CEO just confirmed that they will keep the dividend stable. Of course in the current market environment, many investors and especially the dividend investor community are scared after the cut of the Kinder Morgan’s dividends. I think both companies shouldn’t be compared as Shell has a different business model, much lower debt level and a longer dividend history. Shell only cut two times their dividends over the last 100 years and this was during World War I and WWII when assets were ceased or destroyed. We are not in world war and the current price decline is not such an extreme scenario so I’m optimistic that this won’t last too long to cause geopolitical turmoil comparable to the other wars. I really don’t see a dividend cut coming and even if they would cut the dividend by 50%, the yield would be still at 4.8% which is very attractive and higher than what most other companies offer. Superinvestors who hold and recently added larger positions of Shell are Richard Pzena and Tweedy Browne. Companies history, strong balance sheet with low debt and large cash position, cash flow positive after massive oil price drop, dividend yield, low price book value, low Shiller PE. I will post about the other purchase over the next coming days. Thank you for reading and please share your thoughts by leaving a comment or contacting me. Interesting piece and nice buy. Could you also analyse BP in comparison? Thanks Ben. I was looking at BP and their ratios are all slightly higher than Shells. They probably still carry on liabilities from the deepwater horizon disaster which impacts their debt level and their dividend history. Thats why I prefer Shell. However looking at the figures only, BP seems to be more attractive than the majors Exxon and Chevron.